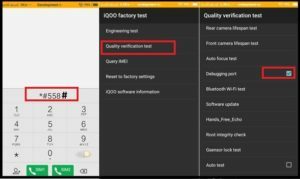 Are you trying to enable Qualcomm Diagnostic Mode or Qualcomm DIAG port to write or repair IMEI / change IMEI number of any Qualcomm snapdragon mobile? If yes then you have landed on right place and today we will show you all possible method to enable DIAG port for any Qualcomm devices. DIAG port is an Diagnostic Mode to test different hardware or software working process. If you want to learn more about Qualcomm Diagnostic Mode [DIAG PORT], please visit on this link. Probably, you may know that Diag port must be enabled on Qualcomm phones to write or repair IMEI number. 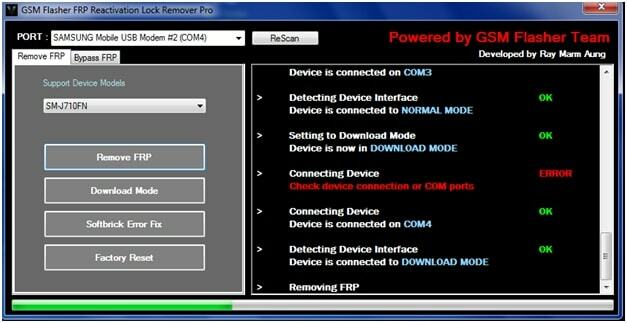 Once you have DIAG port enabled Qualcomm device in your hand, you are free to repair or change IMEI number of your own device using QPST tool, QFIL tool, miracle tool or any other Qualcomm IMEI repair tool. Recently we published a post to repair IMEI number of any MTK [MediaTek] mobile using miracle tool. DIAG COM Port not required for MTK and other chispet based device but in case you are going to flash IMEI on any Qualcomm devices like Vivo, Oppo, Xiaomi, Samsung and Motorola etc then diag port must be enabled on the device. Otherwise, you can’t write or repair IMEI of Qualcomm mobiles. Important: DIAG PORT [Qualcomm HS-USB Android DIAG 901D ] and “Qualcomm HS-USB QDLoader 9008” both are different things. 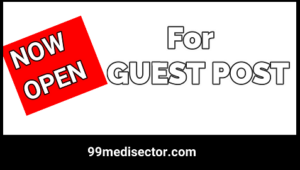 901D is DIAG Port and 9008 is an emergency download mode [EDL]. Now come to the topic and let’s see how to enable Qualcomm Diagnostic Mode [DIAG PORT]? 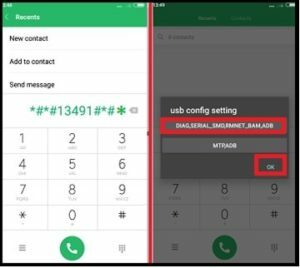 This is the easiest method to enable DIAG port for any Qualcomm phones using phone dialler app but DIAG port code may be different for different device. Do Google to find correct code to enable DIAG port of your device. Otherwise, try the below codes one by one. It’s an another alternative method to start Qualcomm diag port using apk or app. For this purpose, you have to download Terminal Emulator App (APK) from Google or play store. 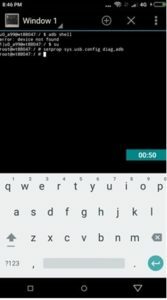 Root access is must to run Terminal Emulator App (APK) on mobile phone. Download any Terminal Emulator App (APK) and install it on device. Connect device with pc via USB Cable properly. Once the emulator opened properly, execute the following commands one by one. This is an another method to enable DIAG COM PORT in all Qualcomm android phones. But its required a rooted device. Without having root access, you can’t enable Diagnostic Mode [DIAG PORT] on your device. If you have rooted Qualcomm device then follow the steps and enable Qualcomm HS-USB Android DIAG 901D / DIAG port within few minutes. Download and install “Minimal adb & Fastboot tool” on window pc by following the below link. 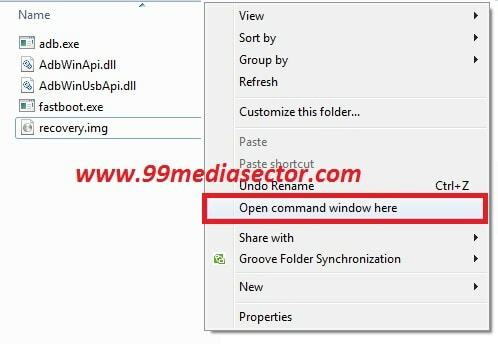 Once you are into “ADB Folder” , press & Hold “Shift” key + “Right” click + select “open command window here” or “open powershell window here” option as shown in screenshot. A new command window will appear in front of you. Don’t close it, we will use it n next step. 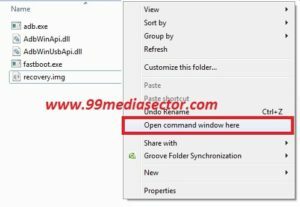 Type or copy the below adb command and execute it by hit enter button. Next, type the below command and hit enter. Finally type the last command and hit enter button to start DIAG port automatically. 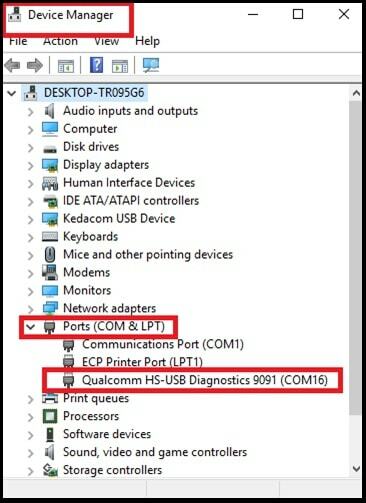 How TO Check Qualcomm Diagnostic Mode [DIAG PORT] Enabled Or Not? Follow the instructions to check status of DIAG PORT on pc. Go to your pc and open “Device manger” option. Once you are into “device manager”, check “PORTS (COM &LPT) section. 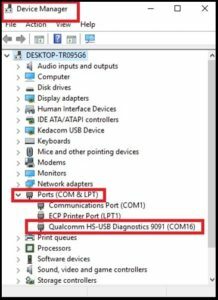 If you are able to “Qualcomm HS-USB Android DIAG 901D COM” that means device is successfully connected with pc into DIAG Port. Otherwise, repeat the process again. These are all possible ways to enable DIAG port on any Qualcomm CPU based android devices like Xiaomi, Lenovo etc. Try all the methods one by one as shown in tutorial and start DIAG COM Port on device. Method 01 is for both rooted and non-rooted device. But Method 02 &* Method 03 are only and only for rooted devices. How To Root Android Phone With Pc? How To Install Samsung Galaxy S7 ROM On Note2?